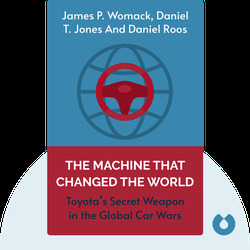 The Machine That Changed the World by James P. Womack, Daniel T.
The Machine That Changed the World (1990) reveals the secret that propelled Japanese car manufacturer Toyota to the forefront of the global automobile industry, a process called lean production. 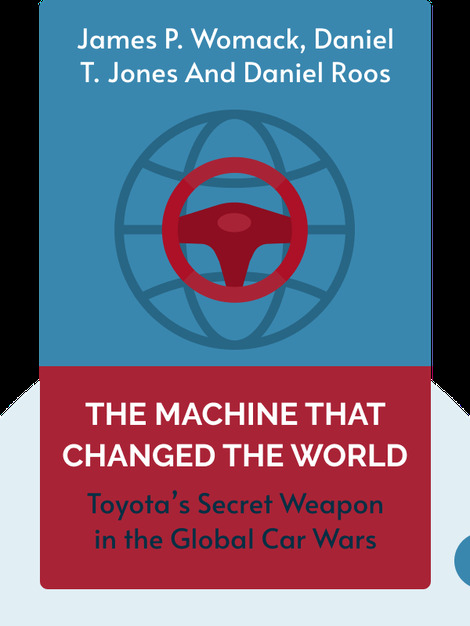 These blinks give you an inside look at the industry’s early history and show how Toyota’s innovative process allowed the company to dominate the market. James P. Womack is the founder of the Lean Enterprise Institute, a nonprofit management resource organization that promotes the values of lean production. Daniel T. Jones is the founder of the Lean Enterprise Academy, and co-authored several books with Womack. Daniel Roos was the founding director of the International Motor Vehicle Program (IMVP) and of the Massachusetts Institute of Technology’s Engineering Systems Division. All three were researchers at IMVP when this book was published in 1990.